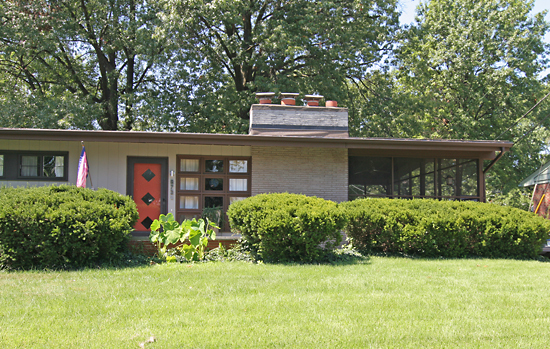 This entry was posted in mid-century modern residential, st. louis county and tagged crestwood hills subdivision, crestwood missouri by Toby Weiss. Bookmark the permalink. 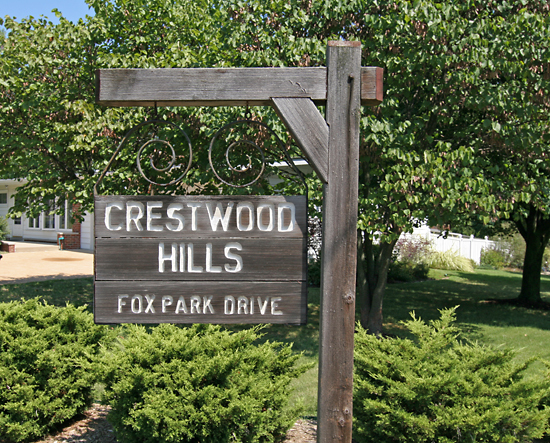 I grew up in Crestwood Hills on Crestwood Drive. My mother still lives in the house that she and dad bought new in 1957. Three kids, two parents, one dog, one bathroom! We were close to our neighbors all throughout the neighborhood. Lots of kids, most of us went through the Lindbergh School District. Fun to see many homes I recognize from that neighborhood. Walking to Crestwood Plaza was typical for us as preteens. Great trick or treating while I was growing up there! Happy memories, I hope folks will continue to love and preserve these unique homes. 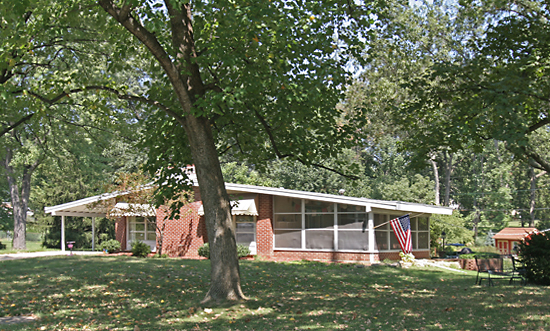 I have been married for 35 years now and have spent all our years in a Century home in Webster Groves. My neighbor gave me a 1956 sales brochure for the Crestwood Hills Addition which lists 4 types of homes available: The Redwood, The Crestwood, The Park Lane, and The Norcross. Put out by Modern Builders, Inc, and has Ed. P. Fitz William Company as Agents listed. Prices from $20,950-$23,900. “Our Homes are designed for those who demand Something Better”. 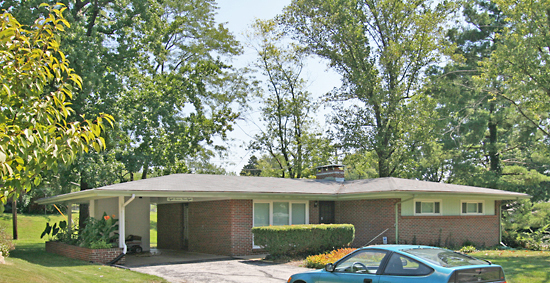 I grew up in Crestwood Hills on Gayle Ave. My parents moved there in 1954 when I was 5 years old. 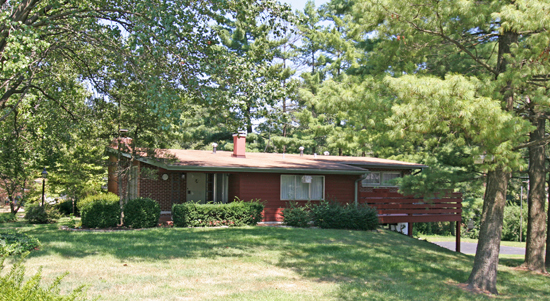 The homes were the first subdivision build by Robert Jones and his brother Don. ( later to become the Jones Company) I know almost all the original owners of the homes shown. These were located behind Koenig Chevrolet on Watson Rd. It was the year Crestwood Plaza was built. When these contemporary homes are impeccably kept up they look great and seem kind of fun – at least in magazines. The problem is they don’t age well. Everything has to be clean and neat everywhere, all the time or it destroys the vibe. Children don’t really fit in with them. All of these middle class modern neighborhoods have always looked run down to me. The trees, shrubs have to be meticulously manicured to fit in. The wrong front door destroys the whole thing. Too much stuff in the carport destroys the whole thing. These homes are a fun project for architects but they do not work for the way people actually live. Victorian homes are much more forgiving and can be a bit shabby and still have a sense of humanity and dignity to them. Go to a slum neighborhood with Victorian, brownstones, or most anything bulit before 1945 and there will still be a glimpse of class and warmth shining through the neglect. We have lived in our home under a year…yes, we bought it at the asking price with the home having really,NO updates. We hear the home was on the market for only hours before we put a contract on it. We knew it was the one we wanted as soon as we walked in. We still have the salmon color(yes, salmon, its not pink) bathroom with the tub, toilet and vanity. We are getting ready to update that…we are in the process of making more changes, but it takes money. We looked at so many homes before buying this one. We love the high ceilings and fireplaces. A real “mad man” feel, great home to entertain. Friends and family can not believe how big it is on the inside, since it looks so small on the outside, and yes…we are one of the few who stil have a carport which we just happen to love..we have no plans right now on buliding a garage…we love its many “open” uses. We are very interested in knowing who the builder was and other facinating facts. We so love living here. I grew up (0-9) in the “newer” 1958 section of this neighborhood, So. of East Watson RD. We had a Pink GE built-in kitchen & mom waited a few years b4 she & dad painted the kitchen a medium Turquoise satin. It really was a great choice from the old pictures I’ve found. Dishwasher, Garbage-Disposer (GE’s DISPOSALL), & a cycle-defrost, square-cornered refrigerator. The house was $19,500 new & they are getting over $200K for them now. Our carport that held many a birthday party, has now been enclosed. But several in the area still remain!! Our builder (Kaputa & Unland) had cathedral ceilings in LR, DR, & Kitchen in all homes. 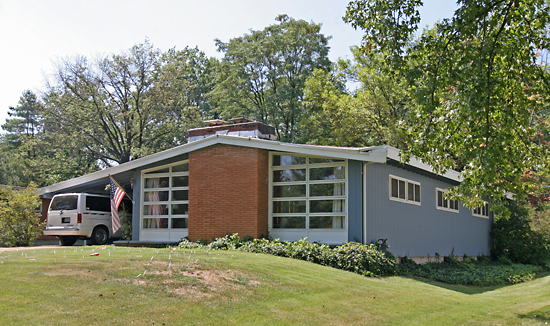 Nice article on Crestwood Mid-century homes. 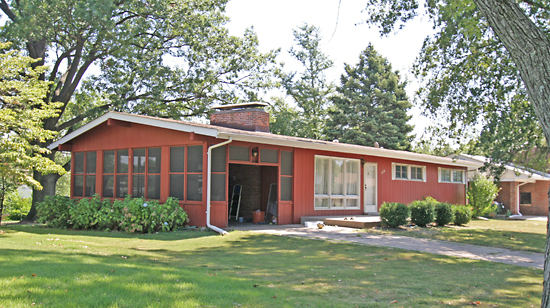 I think the term you have missed is “atomic ranch” to describe the big window, open carport architectural styles you have imaged. The style has developed almost a cult following with books and periodicals available for the interested. 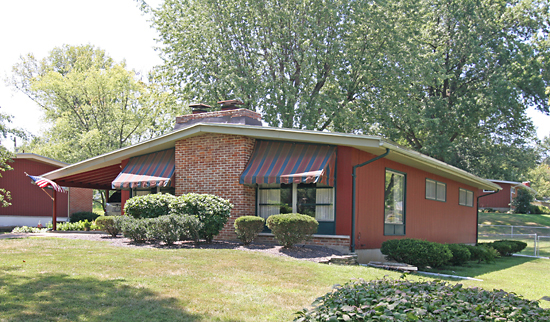 Ridgewood is another subdivision in Crestwood that has many nice examples of MCM. 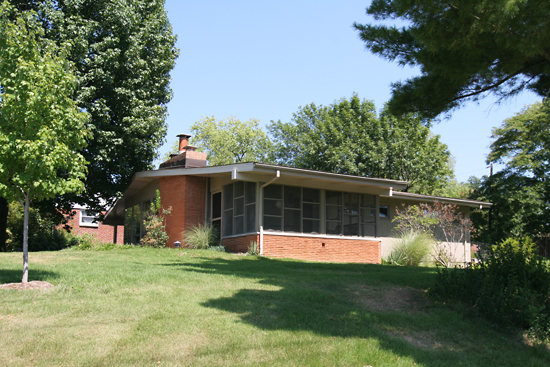 Carrollton, a large developoment in northwest St. Louis County had many wonderful examples of Mid-Century Modern. All destroyed due to Airport expansion. 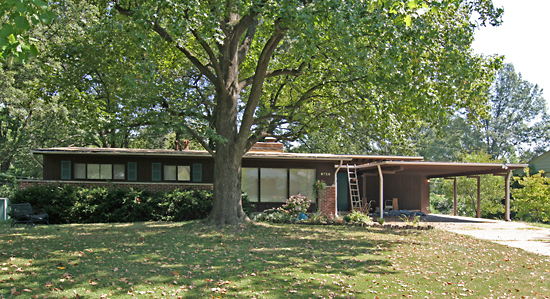 I grew up with a Mid-mod home in St.Louis County, Mid Century Modern was all around. Now live in the Southwest and here are many many examples of Mid-Mod housing and Business structures. Good to see so much of it now appreciated and hopefully surviving. Keith: google Eichler Homes and you’ll find huge intact developments in I believe Palo Alto or Menlo Park CA (down the SF peninsula anyway) many have been “upgraded”/destroyed, but there’s also a huge following. 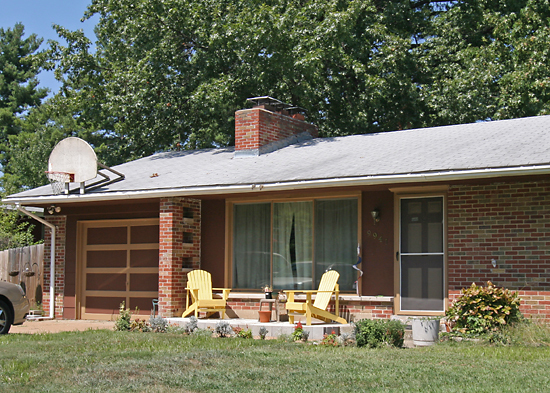 I am the owner of the second house pictured in your article (the one with the Terra cotta colored door). We moved out here 4 years ago from the city and love our MCM. We really enjoyed your article, and would love to see you submit it to Atomic Ranch Magazine for publication. We are having a great time restoring our home. The front door was crafted from a kit sold by Crestview Doors. As you pointed out in your article there are a large number of these house that are near original condition, and they were very well built. 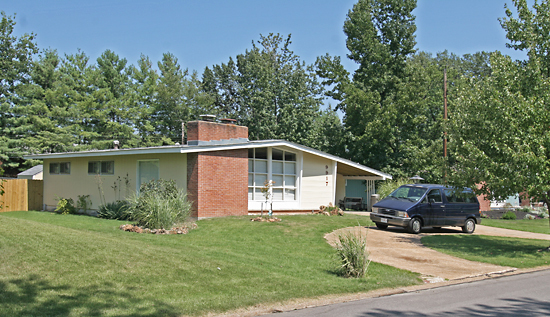 Our home was built in 1954, and it included insulation, not always done back then. 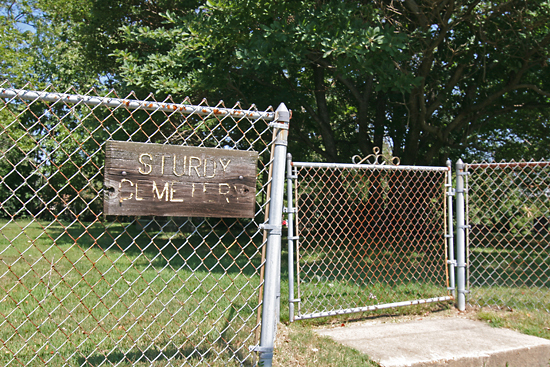 Do you have any information on who the builder might have been? There 2 other great MCM neighborhood off Balles Road and Craig in Kirkwood. I forgot to mention that the home in the forth picture just sold, and the “Under Contract” sign was added to the “For Sale” sign almost immediately. So glad to see these great houses selling so quickly! 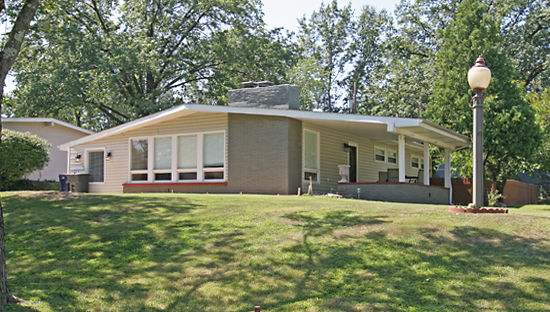 Our recent MCM house search took us through Crestwood Hills as well. There are some very nice details on several of the homes. It appeared several of the carports also had built in BBQ grills as well. Thanks for the great photos. Very nice. If my wife and ever moved out of the City, this or that little street off of Woodlawn in Kirkwood would be the places to go. Great photos! (I notice a similiarity to some parts of my dearly-loved North County area, specifically a subdivision called Hathaway Manor, on the north side of Old Halls Ferry Road and nearby environs.) 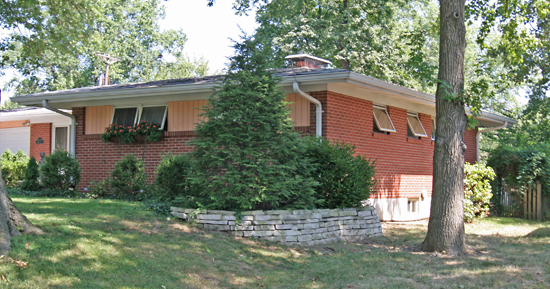 A question if anyone would know the answer: Are houses similiar to these unique to the St. Louis area? 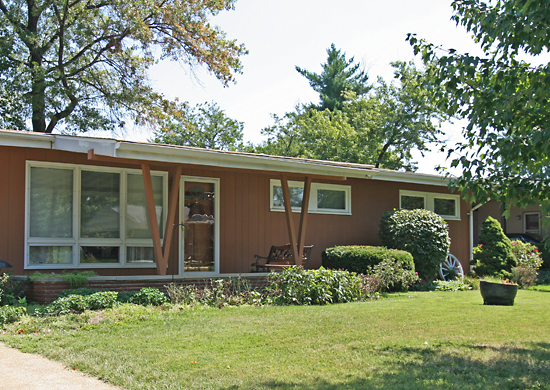 I’ve travelled fairly extensively and it does seem as though there is a certain uniqueness to St. Louis suburban housing. I drive through this neighborhood almost every day to get to my neck of the woods in Crestwood. After living here for over 8 years, I’m still seeing fun details and noticing homes that missed my eyes over the years. Now that the weather is a tad nicer, it would seem to be time to go for a walk. Thanks for pointing out homes that I’ve overlooked! Great find, Toby! That is one stylish neighborhood.